A pair of Sherwood High School baseball standouts got to finish their high school careers playing with, and against, many of the other top players from around the state. 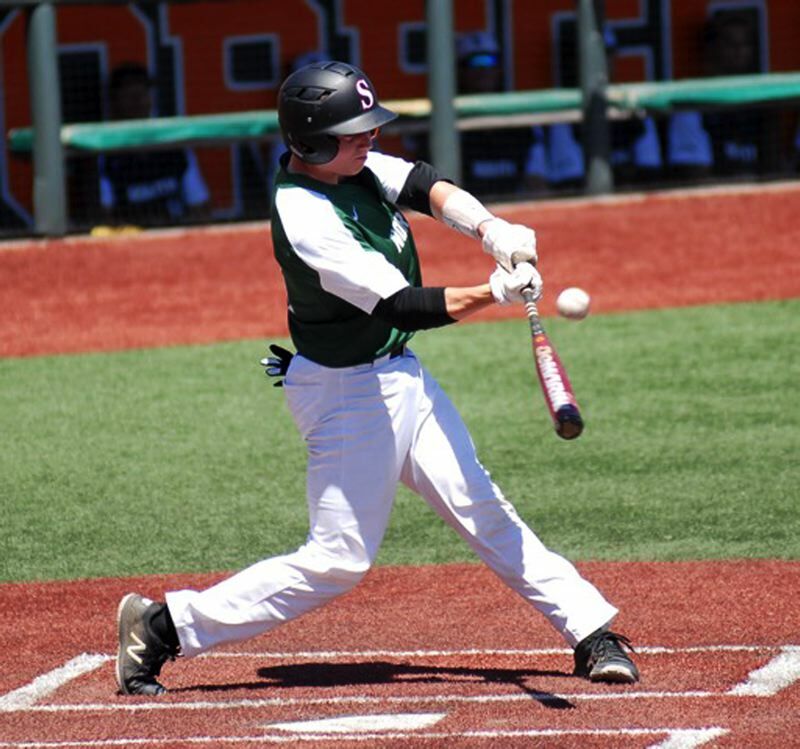 Riley Aggson and Hayden Gilbert, both 2018 Sherwood graduates, played at the 2018 Freightliner Oregon All-Star Series, which was held June 23-24 at Oregon State University's Goss Stadium. The series, which includes many of the top graduating Class 6A and Class 5A baseball players from around the state, consisted of one game on June 23 and a doubleheader on June 24. Aggson and Gilbert both played for the North squad. 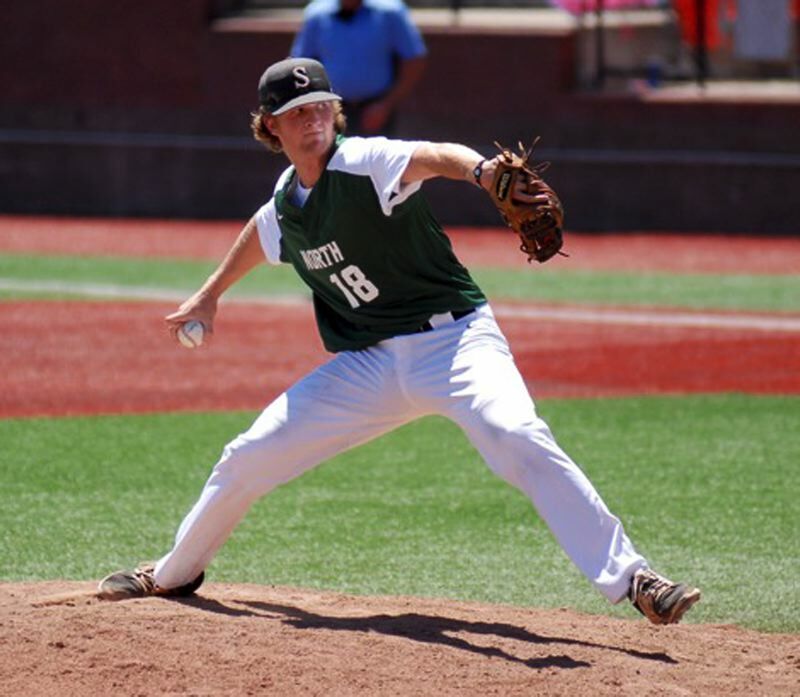 Aggson, while shining as a pitcher at Sherwood, where he was named the Three Rivers League Pitcher of the Year for the 2018 season, started at shortstop for the North team in the June 23 Oregon All-Star Series opener, which the North won 10-7. Aggson went 0 for 2 at the plate in that game, but drew a walk and scored a first-inning run in the victory. Gilbert got into the game at catcher, and went 0-1 at the plate. In the first game of the June 24 doubleheader, the North picked up an 11-6 victory. Neither Aggson nor Gilbert played in that contest. Aggson started on the mound in the second game of the doubleheader. He pitched the first four innings, giving up four runs on five hits, while striking out six and walking one. Aggson also went 3 for 3 at the plate in that game, with a double, a run scored and an RBI. Gilbert started at catcher for the North in that game. He went 2 for 3 at the plate with a run scored, while also getting hit by a pitch. The South team won the second game of the June 24 doubleheader, 6-5. Newberg's Derek Maiben was named the Bob Brockman MVP of the series. Jacob Dukart of Sandy was named the North Most Outstanding Player and Greg Mehlhaff of Clackamas was named the North Most Outstanding Pitcher. Briley Knight of Crescent Valley was named the South Most Outstanding Player and Kyle Lund of Churchill was named the South Most Outstanding Pitcher.